thanks for this info, just looking at the microfiche it looks like 17 is the one i have but 13 isnt listed in the part list which looks to be the right one?? Vroomy....What Year Caliper Assembly did you buy ? Was it for a CRF450R ? 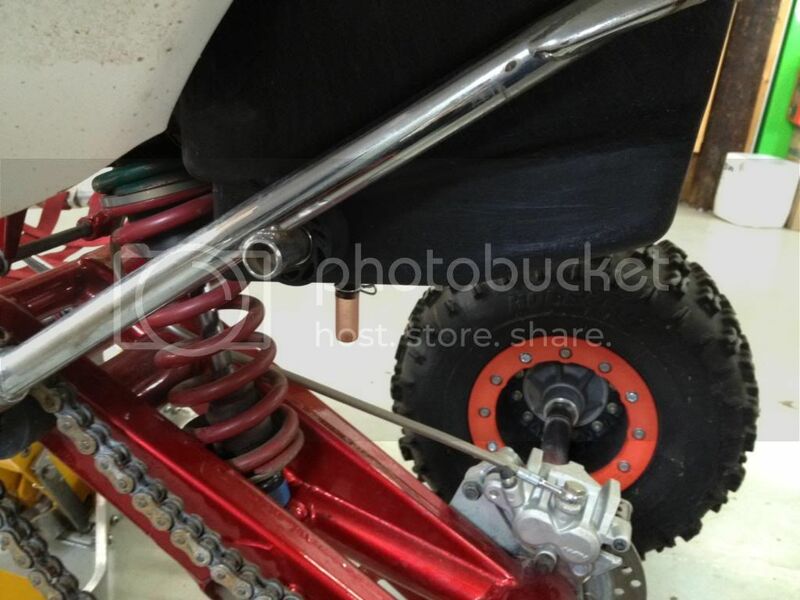 Looks like Part#17 that rk88r specified is on the Crf450 from 04-12 ? Vroomy I'm not positive on the year that's on mine. I know it's a crf though. Here is what Andy from Maul Tech did, contact him for more details. "The rear caliper must be machined to center up the pads and we used an aftermarket aluminum 250R rear caliper bracket." Vroomy, Just give the Honda shop this part# 45190-MEN-006 and they can order the correct one for you.....If they can't....I'd try a different Honda shop. Am I missing something here I tried this and doesn't even come close to working. I ordered an 05 crf450 front caliper. If the mounting hole at the rear of the brake stay is lined up the front falls short of the brake stay by 1.5 inches? 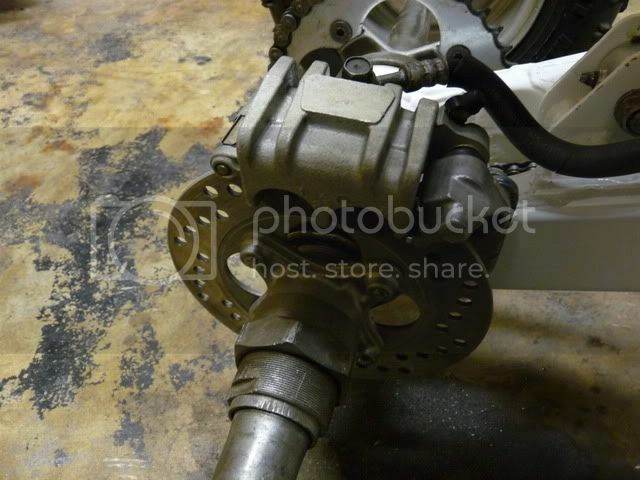 Plus it seems the caliper bracket is to thick to go between the brake stay and rotor. Well I ended up making the crf450 front caliper work but it ain't worth it. Do not buy a 4-12 year. It will not fit. I ended up welding some metal on the OEM brake stay to make it work. Not sure of part Number I ordered off of Ebay used.however I compared several pics of calipers and it seems to be same from 4-12.